Coordinated and assembled by Carolyn Weil and Judy Jensen. Liberty fabrics were donated by Edy Brady and Carolyn Weil. Gwen McMillian, Margo Weeks, Edy Brady, Susan Dague, Amy Adair, Carolyn Weil, Judy Jensen, Joan Sextro, Marty Suess, Lynn Hickman, Meg Nixon, Rita Mah, Ginny Dixon, Sally Meeks, Cindi Cossen, Jean Smith, Rebecca Rohrkaste, Lynn Crook, Susan Peck, Jeanie Minor, Linda Gruber. 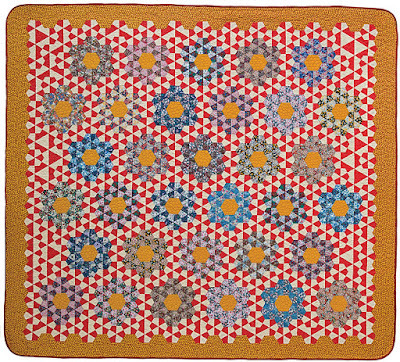 Thursday to Saturday, September 21-23 - Quilt, Craft and Sewing Festival in Pleasanton. 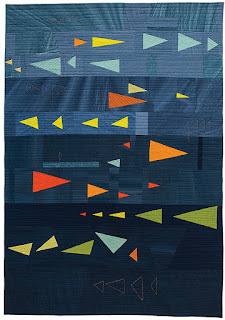 Thursday, October 12 to Sunday, October 15 - Pacific International Quilt Festival (PIQF) at the Santa Clara Convention Center. Sunday, October 22 - East Bay Mini Maker Faire, Temescal District Oakland.